Addiction is much misunderstood. Women and addictive gambling even more so, and for many years women have suffered in silence. This book explores how lonely, troubled lives and damaging relationships lead to the trap of problem gambling, the anxiety and chaos whilst locked inside, and then offers realistic hope of a way out. Case studies illustrate how gambling begins as harmless escapism and how stressful and sometimes painful lives, combined with spiralling debts, lead to desperation to avoid thoughts, feelings and the reality of life in chaos. 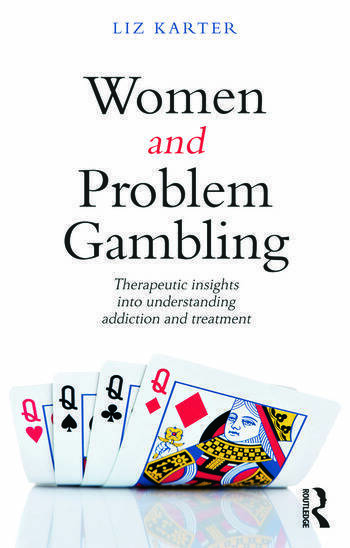 Women can, and do, stop gambling, and the author shares anecdotes from patients, and discusses therapeutic models and practical strategies to demonstrate how this is possible. Women and Problem Gambling is based on the author's research and theories developed throughout her extensive practice. The insights will be of value to anyone wanting to understand or work with problem gambling in women; from a woman with a problem herself, thorough to family, friends and any healthcare professionals or therapists involved in her care and treatment. Growing the Problem. Why Take the Risk? Sliding into Trouble. Escaping to a Trap. Rock Bottom. Assessing Reality. Creating a Therapeutic Experience. Ambivelence. Understanding Why. Relapse Prevention. One Woman's Story. Reflections on Practice. Referrals. Liz Karter is a therapist in private practice, working exclusively in the field of problem gambling.